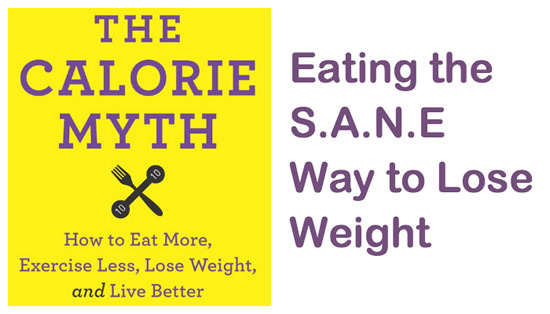 The Calorie Myth is a diet book written by Jonathan Bailor – a nutrition expert and former personal trainer. This program is based on the idea that calories don’t matter when it comes to losing weight. Bailor asserts that it is not the amount of calories you consume but rather what kinds of calories. He offers evidence that supports a different approach and provides readers with a practical plan to reset metabolism. The link between hormones and metabolism. How diet influences hormone function. How supposedly “healthy” foods cripple our ability to burn fat. How to identify and eliminate toxic foods. How to burn fat while eating more food. Why we don’t need to eat less and exercise more. The Calorie Myth says that some foods are used to repair the body and fuel metabolism whereas others are stored as fat. The secret to losing weight is to select the foods that provide optimal nutrition and hormone balance. He goes on to explain that the human body has a set point, which is the weight it naturally tends to stay at. This is regulated by your hormones. When we eat a lot of sugar, starch, and unhealthy fats the body is not able to maintain a healthy set point. These foods have a “hormone-clogging” effect , which interferes with the efficiency of calorie burning. The quality of calories varies dramatically and is determined by four factors: Satiety, Aggression, Nutrition, and Efficiency (SANE). Satiety is how quickly a food makes you feel full. Nutrition is how many vitamins, minerals, essential amino acids, essential fatty acids and other nutrients are provided. Efficiency is how easily calories are converted into body fat. The Calorie Myth categorizes healthy foods as SANE and unhealthy foods as inSANE. Whether a calorie is high quality or low quality depends on where it fits on the SANEity spectrum. Jonathan Bailor says the secret to successful weight loss is simple. Just enjoy so much delicious healthful “SANE” foods so that you are too full for the “inSANE” foods. SANE foods fill you up quickly and keep you satisfied for a long time. SANE foods provide a lot of nutrients but few of them can be converted into body fat. Even better, these foods trigger the release of fat-burning hormones and lower our set-point, which makes it easier to lose weight naturally. Chicken, turkey, salmon, sardines, prawns, grass-fed beef, bacon, eggs, cheese, Greek yogurt, protein powder, peanut butter, cashews, almonds, coconut milk, pears, berries, avocado, cauliflower, spinach, asparagus, beets, celery, zucchini, dark chocolate, coconut oil, butter, xylitol. Eating less of your normal diet and doing more exercise will not repair hormonal imbalances. It may delay the onset of diabetes and slow down weight gain but the diet still destroys your metabolic balance. Exercise alone cannot undo that damage. You can exercise smarter so you spend less time in the gym but achieve better results. This is achieved by undertaking a high intensity interval training program. The Calorie Myth: How to Eat More, Exercise Less, Lose Weight, and Live Better retails at $25.99. Encourages consumption of a variety of healthy foods. Supported by scientific research and endorsed by doctors at some of the most prestigious medical institutions. Advocates a lifestyle approach to healthy weight management. May be challenging to eliminate all sweet and starchy foods. The workout may be too demanding for dieters who are not already in good shape or have physical injuries. May take time to reach your target weight. The Calorie Myth aims to dispel the idea that you need to focus on calories to effectively burn fat. Instead of restricting calorie intake and exercising excessively you can lose weight by eating nourishing foods and exercising intelligently.